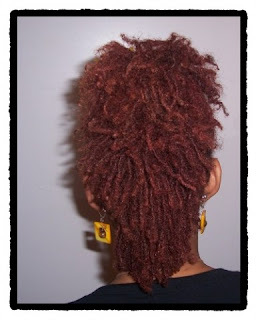 Week old twist out. You can still see some spirals. 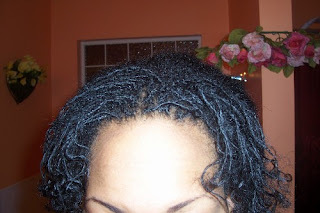 I wash my hair once a week so it's about time to wash. After shampoo & conditioning ( I use Wen shampoo & conditioner) I use Taliah Waajid Crinkles & Curls styling lotion on small sections then part hair in 2 and double twist down to the end. I secure with an ouchless rubberband. I usually air dry but if time doesn't permit I will sit under hooded dryer. 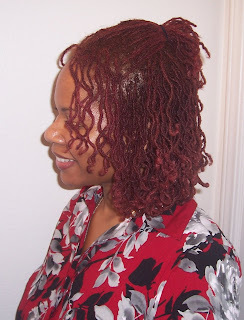 Once dry unravel twists and your beautiful locks will have volume with spirals & curls! 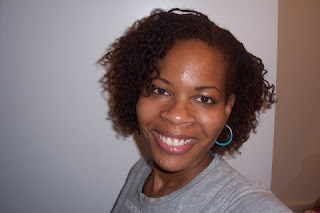 For tighter curls and more volume try Bantu knots. Same steps but after you double twist hair, Take the twist and wrap it around itself in a circular fashion to form what looks like a knot. 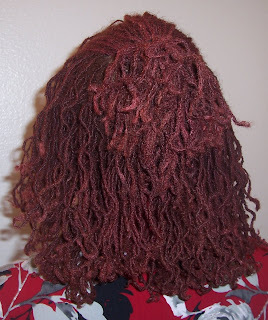 Tuck the hair under itself or use a ouchless rubberband to secure each bantu knot. Make sure hair is dry before taking down. 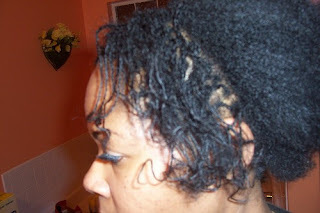 I do a 2 strand twist after washing my hair so I have more volume but it does take away from the length. I will take a picture in the future showing true length. 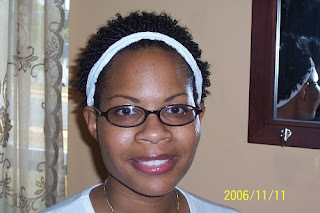 One photo shows my good friend Tifany rocking her Sisterlocks I started in May 2008. Here are some different looks. I'm about 1 1/2 yr locked. It's been 1 year and still loving my journey. My locks are continuing to change all the time. I decided to color them a shade of red and the color turned out nice. 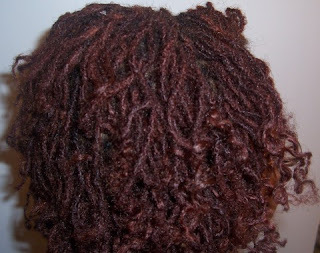 I used and continue to use Clairol Textures & Tones in Blazing Burgundy but your really can't tell in these photo's! 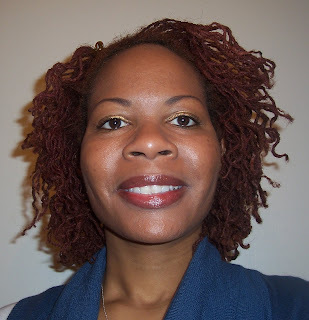 I decided to sign up for the Sisterlocks training class in Atlanta, GA in March 2008. 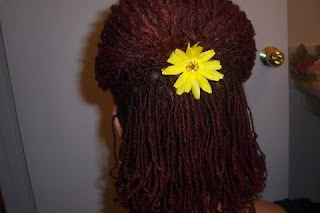 I wanted to learn how to do Sisterlocks. My consultant motivated me to go. 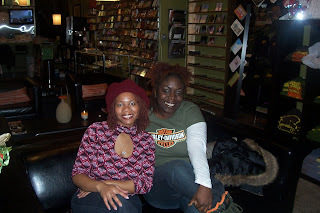 I also had women asking me if I knew how to do it when they seen my Sisterlocks. I was so excited about the class. 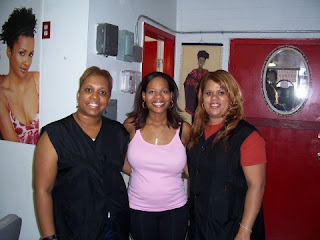 Ms. Denise Roberts Dixon was our Master Trainer and Wanda Washington was helping also. 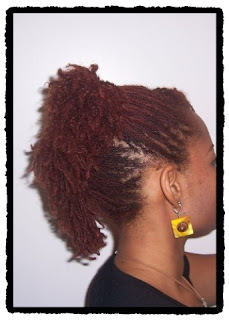 Master Stylist Calla Johnson was creating beautiful hairstyles right in front of our eyes. The best part was Dr. Joanne Cornwell herself. She came and talked to the class about her vision and mission. 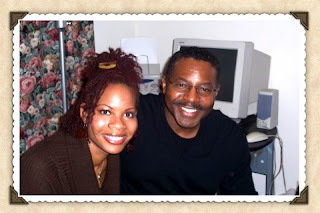 Dr. Cornwell was so humble and gracious. 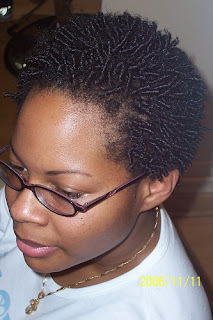 Her sisterlocks are to die for but what really shocked me was that she does her own retights! I was fortunate to take a picture with her. I also signed up for the photo shoot and some of the photo's actually made it into her new book That Hair Thing! Here are some pictures from the training! We began on 11 Nov 2007. 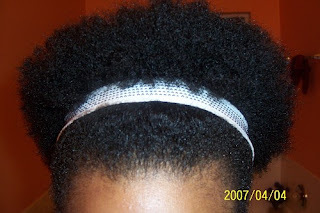 I had a fro before we started. My consultant did the front on the first day and the back the next day. 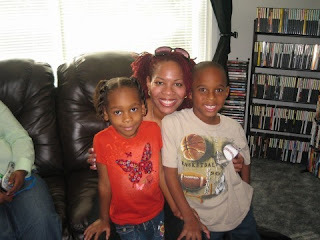 A total of 15 hours later my Sisterlocks were born on 12 Nov 2007! 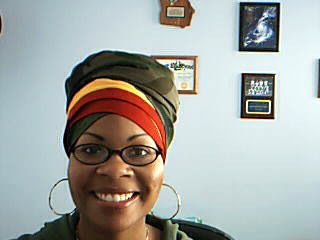 I really like how headwraps look on other sisters. So I ordered some crowns from Queen Wisdom at http://www.myspace.com/earth_science29. Check out some of her wraps that you can purchase! 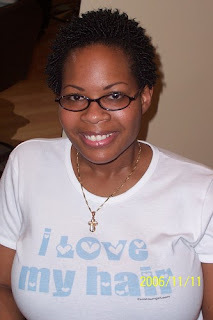 Going Natural and Loving it! 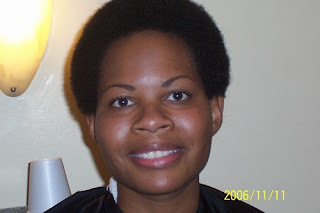 I decided to go natural on 11 Nov 2006 and had my hair chopped off to start fresh at Yaffa's Hair Studio in Atlanta. 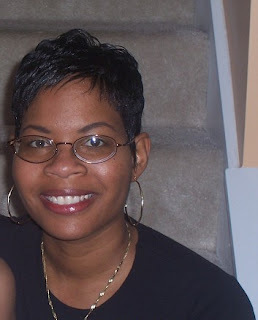 I had never seen my natural hair and my hair had never and I mean NEVER been this short...well maybe at birth! 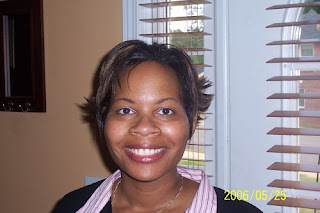 Here are some pictures of me with the relaxer. 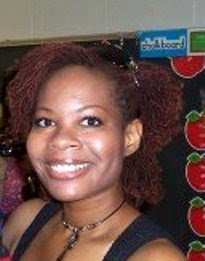 I really don't miss these days at all but I was cute! 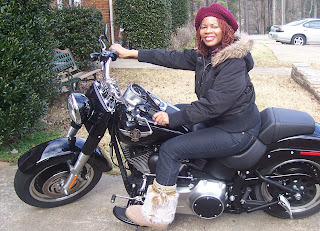 BECAME A DO IT YOURSELF (DIYer): JUNE 2011 AND LOVING IT! NATURALLY UNIQUE GIFT CERTIFICATE'S AVAILABLE! I'm a huge Michael Jackson Fan and my Blog just didn't feel complete without a little MJ here! 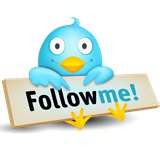 - Go or no go? 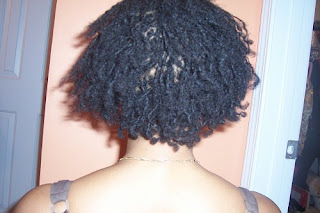 Can I get Sisterlocks with Alopecia?